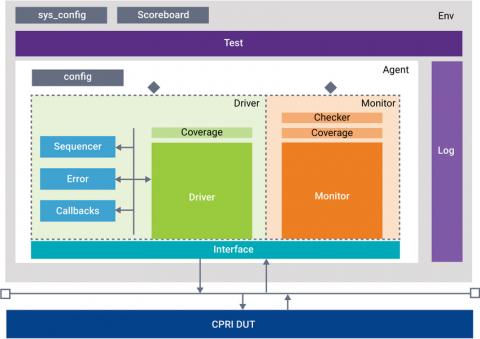 Synopsys® VC Verification IP for CPRI provides a comprehensive set of protocol, methodology, verification, and productivity features, enabling users to achieve accelerated verification closure of CPRI based designs. Synopsys VC VIP, based on its next generation architecture and implemented in native System Verilog/UVM, runs natively on all major simulators. VIP can be integrated, configured, and customized with minimal effort. Test bench development is accelerated with built-in verification plan and functional coverage.